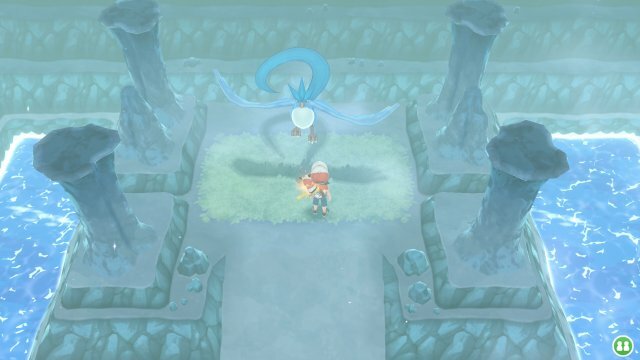 Legendary Pokémon encounters are different to the normal Pokémon encounters in this game. In fact, the encounters are more akin, but still different, to the wild Pokémon encounters in previous games. 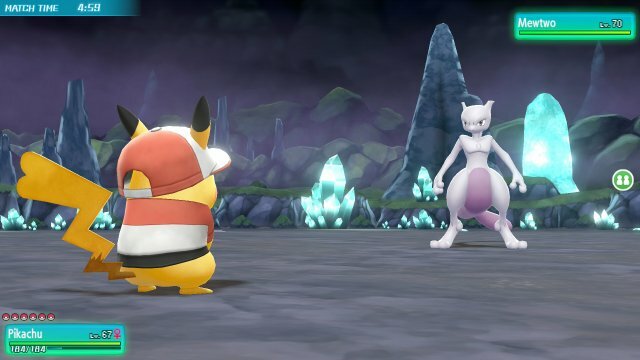 In Pokémon Let's Go, you actually battle the Pokémon. The battles, unlike wild battles in previous games have a 5 minute time limit for you to make your moves and battle them. However, you don't throw Poké Balls during the wild encounter this time. Instead, the Pokémon has to be defeated in order for the capture screen to be triggered. The capture functionality works just like the rest of the game, but each Pokémon can produce an aura which causes berries to burn up if already consumed or thrown at it during the challenge. If the Pokémon run from capture or aren't defeated in time, they do disappear but will re-appear after you defeat the Elite Four again. When you reach the bottom of Seafoam Islands, Articuno can be found. Like all Legendary Pokémon it starts off with a battle. All of Articuno's stats are raised in battle. 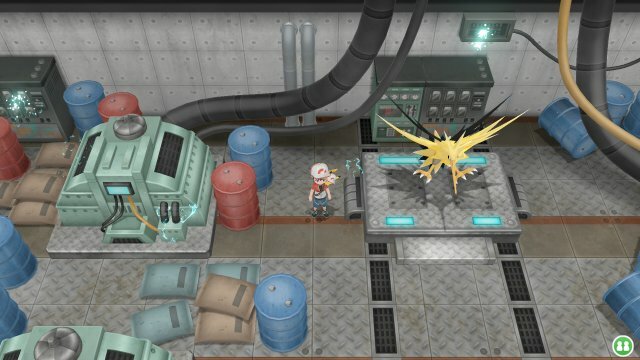 When you reach the end of the Power Plant, Zapdos can be found. Like all Legendary Pokémon it starts off with a battle. All of Zapdos's stats are raised in battle. 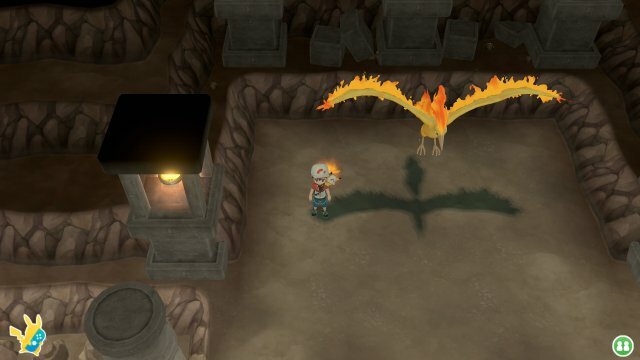 When you reach the third floor of the Victory Road, Moltres can be found. Like all Legendary Pokémon it starts off with a battle. 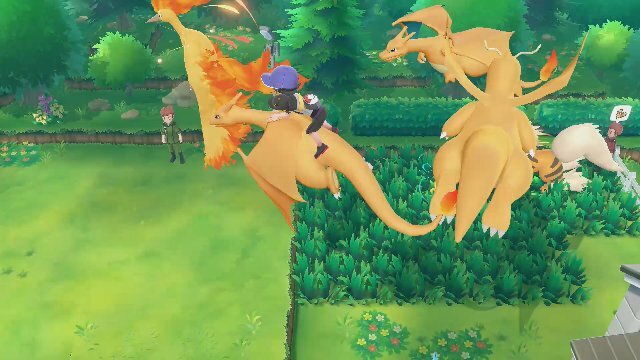 All of Moltres' stats are raised in battle. 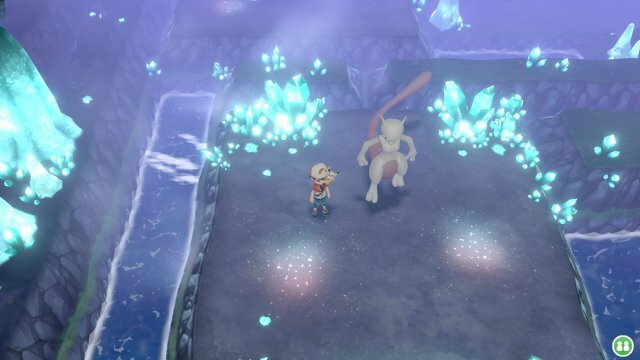 After beating the Elite Four, you can get access to the Cerulean Cave where Mewtwo dwells. Mewtwo, like the other Legendary Pokémon, has all of its stats boosted in battle. However, when it comes to capture, it has more unique features. From time to time, Mewtwo will set up a barrier for a short while. This barrier will remove all effects of Berries and prevent Balls and other berries from landing on it. After beating the game and catching the Legendary Birds, the Legendary Birds will have a chance of appearing in the Sky as Rare Spawns. To improve odds, use a Lure and have a Catch Combo of 31 or more coming. They are incredibly rare so it may be a long way.